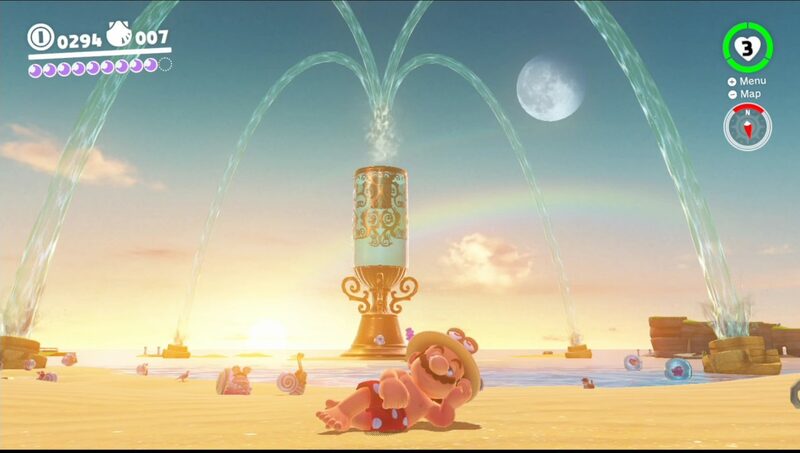 Super Mario Odyssey - Mario's steamy, shirtless beach-side photo-shoot caught on camera | PowerUp! Ever since he appeared shirtless in a Super Mario Odyssey trailer during a Nintendo Direct, everyone has been extra thirsty for shots of Mario, sans-top. Luckily, PowerUp! has a brand new paparazzi division and it has managed to catch Mario out, shirtless and on the beach. In spite of the pressing matter of rescuing Princess Peach from the clutches of the matrimonial maniac Bowser, Mario seems to have time to chillax. These candid shots show our hero reclining, snoozing, playing and swimming at the famous Seaside Kingdom. 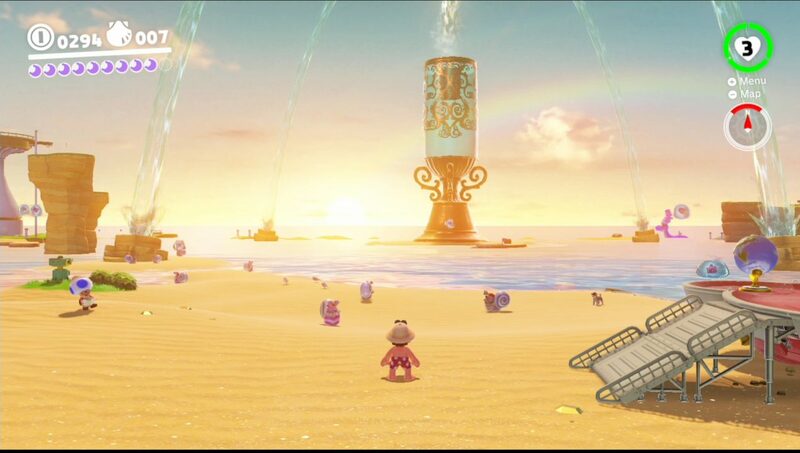 All of he Mushroom Kingdom’s social elite can be found at Seaside Kingdom, which is why you won’t see Luigi anywhere in sight. One intrepid PowerUp! paparazzzi managed to sneak some footage of Mario asleep on the beach and we owe it to our readers to share it. Please watch the video above to see Mario in all his shirtless, sleeping glory. 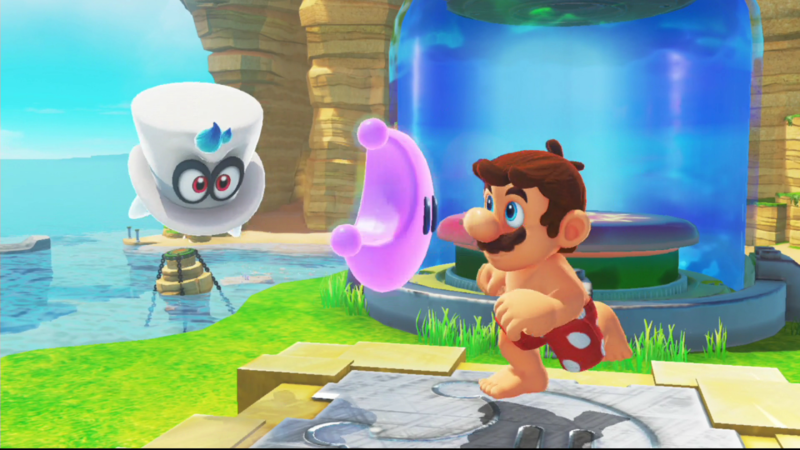 For more on Mario’s trip to the beach, read all about it in our in-depth preview of Super Mario Odyssey. Super Mario Odyssey will be available for Switch on October 27, 2017.